Over 50 free resume templates in Word. 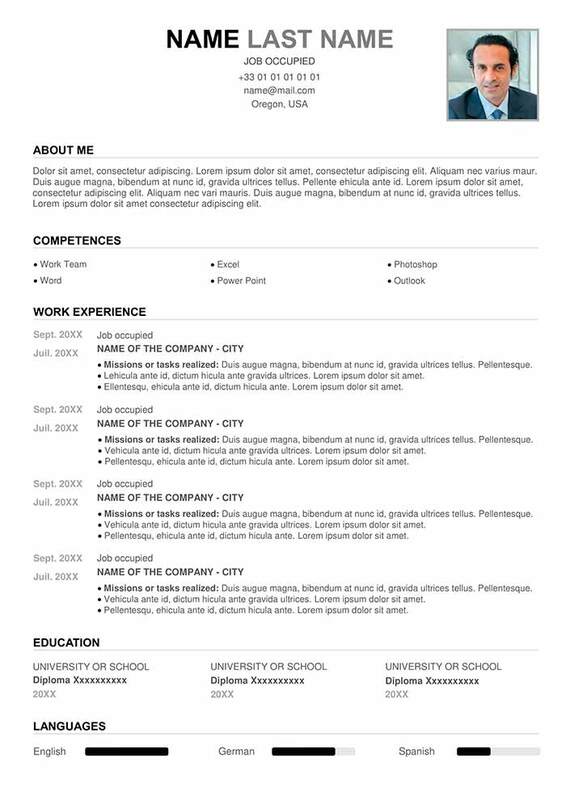 These resume templates are completely free to download. They are ready to use. All you need to do is fill them out and adapt them according to your profile. Download the template that best fits your personality and the position you are seeking. Then personalize it by including your training, professional experience, skills, etc. You may then print your resume. 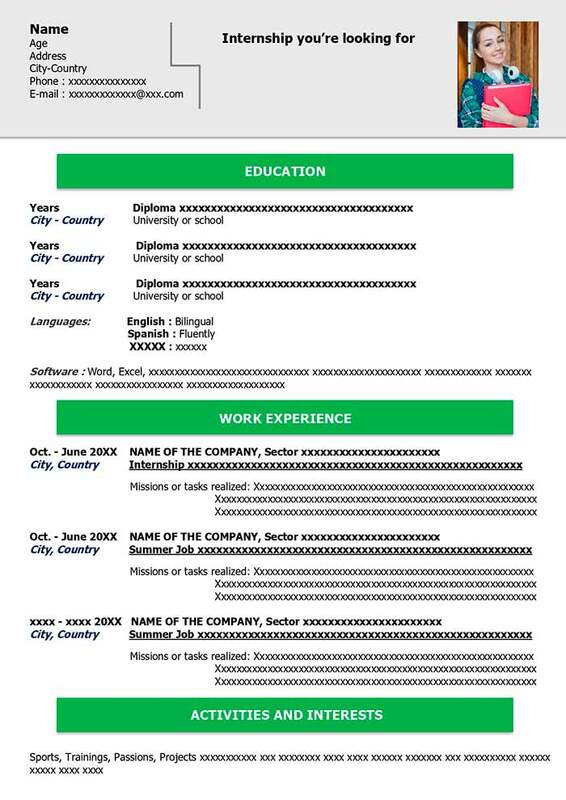 Below you will find a wide variety of downloadable free CV templates Word with totally different colors, layouts, and designs. 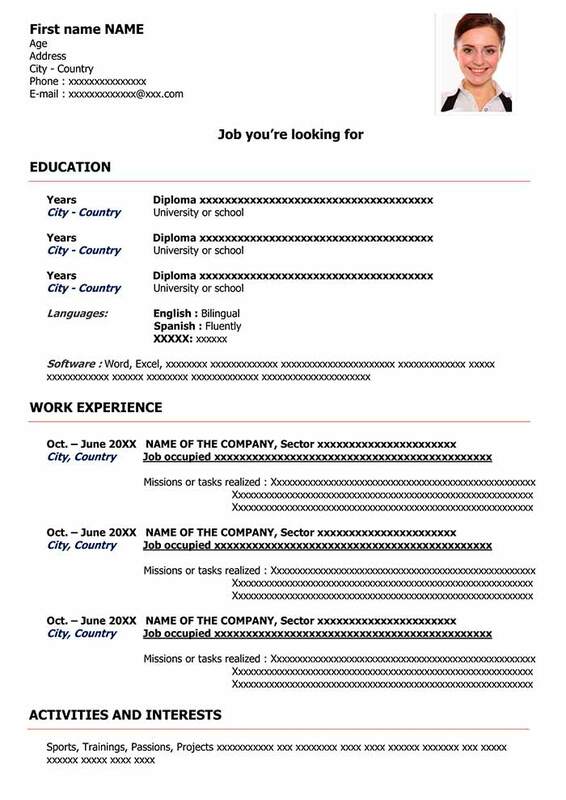 Whether you are a student, recent graduate, engineer, or executive, you will find the profesionnal resume template for you on this website. 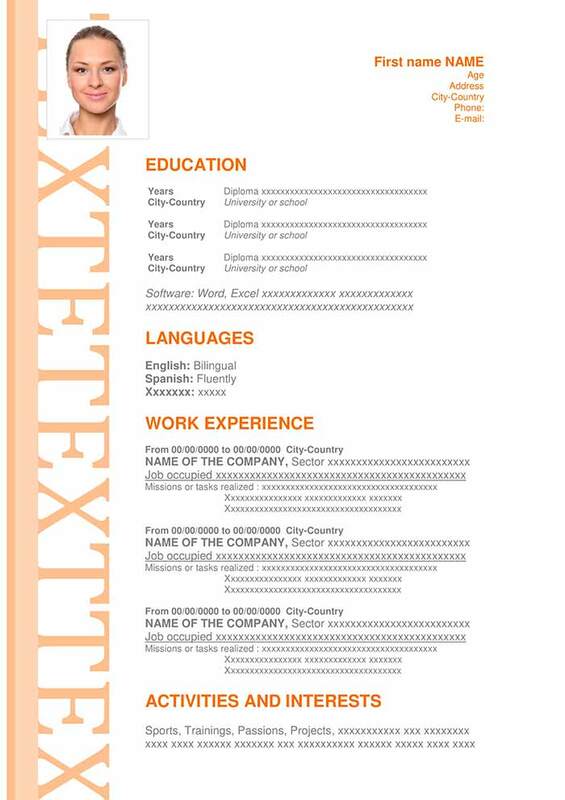 Learn how to write a perfect resume thanks to our different templates and formats. Our tips for writing a CV will help you create yours. To help you find your CV example, we have grouped them by theme: modern resumes, classic resumes, creative resumes. You only need to choose your template! 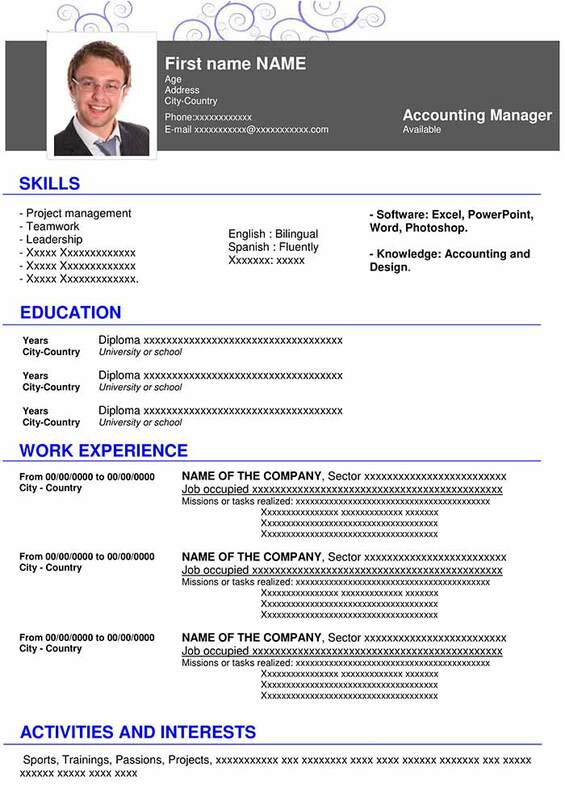 How to download our resume designs and templates? 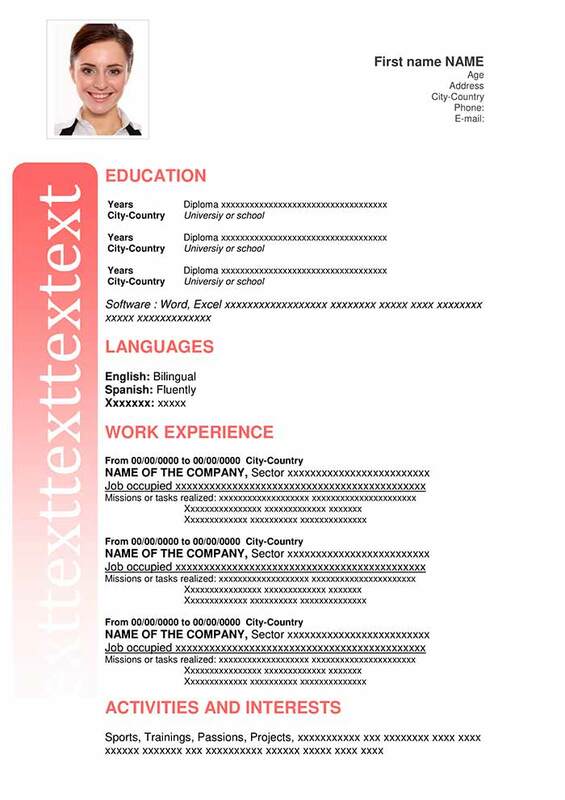 We offer you a large number of Resume templates to download for free in Word format. To download a Word Resume template, it couldn’t be easier: choose a Resume design you like and click on “Download.” This will access the download page where you will find the link to download the format you have chosen. You may download it in standard Word format or in Word 97-2000 format. Accessing the download page and downloading the template is totally free. A resume is the reference document you need before beginning your job search. In most cases, the Curriculum Vitae will be the only way for you to stand out from others in the eyes of the recruiter. 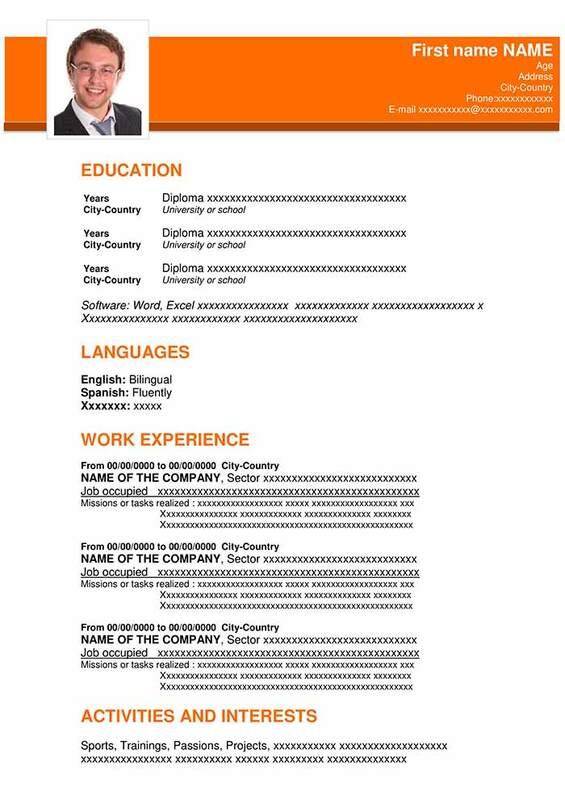 The Curriculum Vitae is a document that should “sell” you. Letter template. A quality resume will allow you to advance to the second stage of recruitment: the interview. On our website you will find all the resume templates (creative, classic, or modern) to download, complete, personalize, and print. In this article, we will present a few elements and key factors to explain you how to make a good resume. Which format is the best for sending a resume, Word or PDF? 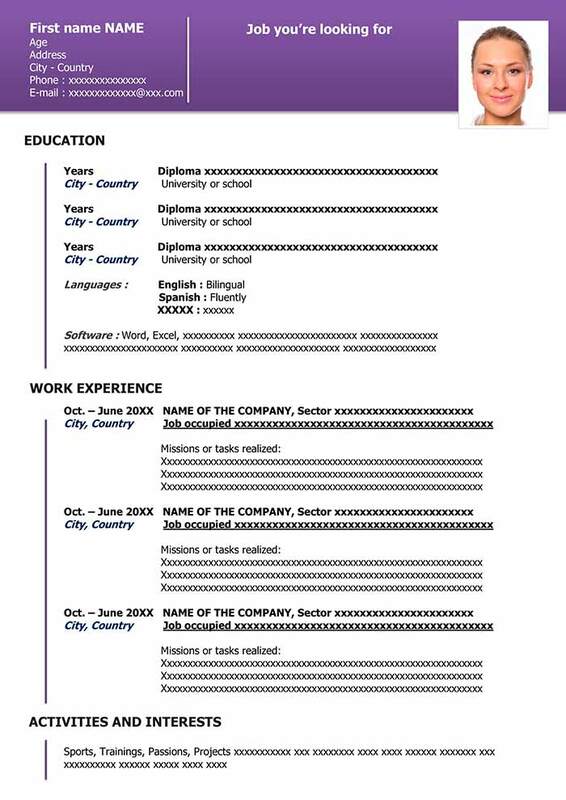 Discover in which format you should save your CV.